Click here to browse our archive. 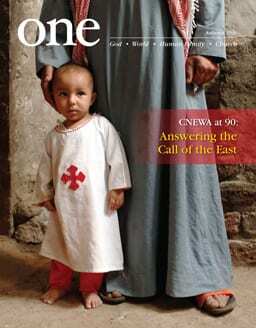 ONE is the official publication of CNEWA. A bimonthly magazine published in English and German, ONE introduces its readers to the rich heritage and culture of the Middle East, Northeast Africa, India and Eastern Europe, emphasizing not what divides but what unites. It is all about one God, one world, one family and one church.